Home→Blog→To hunt or not to hunt “The October Lull”…that is the question. 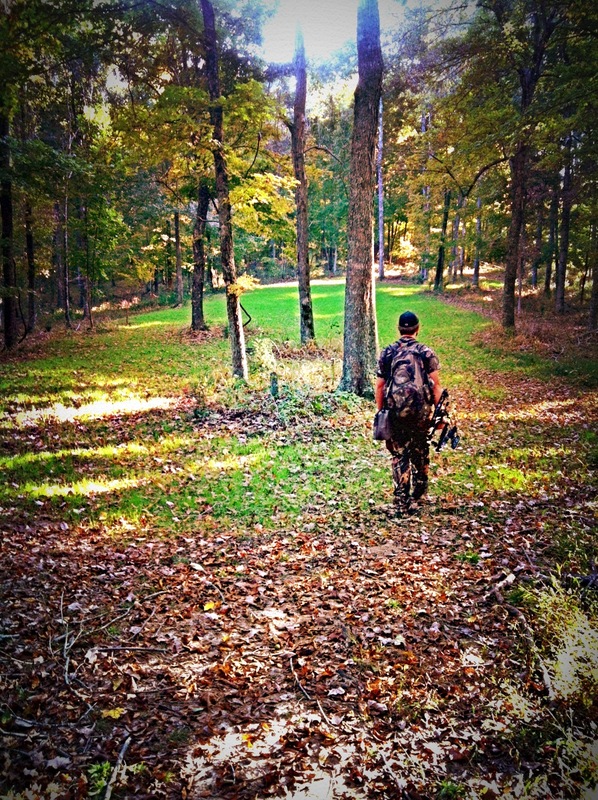 To hunt or not to hunt “The October Lull”…that is the question. In my 28 years of archery hunting whitetails I’ve learned a lot from my mistakes and like most experienced hunters, I’ve made plenty of them. One of those mistakes was believing in the so-called “October Lull”, also known as early October when deer are in-between their typical Summer patterns and Breeding Season. I used to believe this time of the year meant time spent in the tree stand was “wasted”…fortunately I don’t believe in this myth anymore and instead have found early October to be a great time to harvest mature whitetails as they are still residing in their home range and are much more predictable than during Breeding Season, where they can range several miles to breed. My methods for hunting early October whitetails have been derived from many years of experience, from both successful and unsuccessful hunts…once again learning from my mistakes. Hopefully my advice can help you be more prepared and more successful while hunting the “October Lull”. 1) Never hunt the mornings…the reason this is one of my early October Rules is that I have found that especially during the warmer morning hours the deer will stay on their feet longer and it’s very easy to spook a lot of deer going to your stand location (even without you knowing it) and a mature whitetail won’t let that happen too many times without going completely nocturnal or finding a safer place to live with less pressure. Spooking a mature whitetail just one time can be the difference in you harvesting him or your neighbor harvesting him. You need to remember that in early October if a mature whitetail has chosen your property as his home range, he will spend most of his time in that range…deer in October are much more predictable than deer in November. 2) Choose your Food Plot Stand wisely…the reason this is another one of my early October Rules is because typically deer in October will begin feeding in your plot right before dark and you don’t want to spook or bump deer off of that food source and ruin your future hunting opportunities. Remember, deer are still in their home range and will be until breeding season, if you don’t bump them they will stay on your property. You need to choose a food plot stand location that allows you to easily exit this location without spooking the deer feeding in that plot. 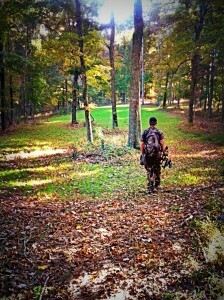 So make sure your stand location has a safe exit route and you will be in a position for success all Fall long. 3) Always pack your rattling antlers…I NEVER go to my stand in early October without my rattling antlers. I have rattled in more bucks during the first weeks of October than I have the first weeks of November. After a buck loses his velvet he is ready to breed and with the does controlling the timing of the breeding season a buck will be very territorial while waiting, so always have your rattling antlers with you. If you’ve checked your trail cams or been hunting lately you’ve probably noticed increased activity by bucks…either frequent sparring or “rut-like” behavior. Use this tactic to your advantage when hunting the “October Lull” and you might find yourself in bow range of a giant. I hope these tips help change your opinion of the “October Lull” and help you be more successful this Fall.